Sugar & Vice Are Very Nice! cowbiscuits | UK Lifestyle, Style and Beauty Blog. : Sugar & Vice Are Very Nice! Sugar & Vice Are Very Nice! Sugar & Vice are an amazing brand from the UK specialising in their acrylic, lazer-cut designs that are detailed and intricate. This is a mirrored style necklace so it catches the light and makes for an amazing pieces. It sits perfectly on my chest and looks amazing with a simple outfit. Sugar & Vice do personalised necklaces so if I managed to get a Prince version of this it would be insaaane! This would be the biggest statement of statement necklaces. Such a beautiful piece. What do you think of this awesome brand? Absolutely LOVE those moggie necklaces and saw Jayne from Jayne's Kitschen rockin' that solar system necklace, pretty pretty! Wow, this looks right up my street! I love that solar system necklace. 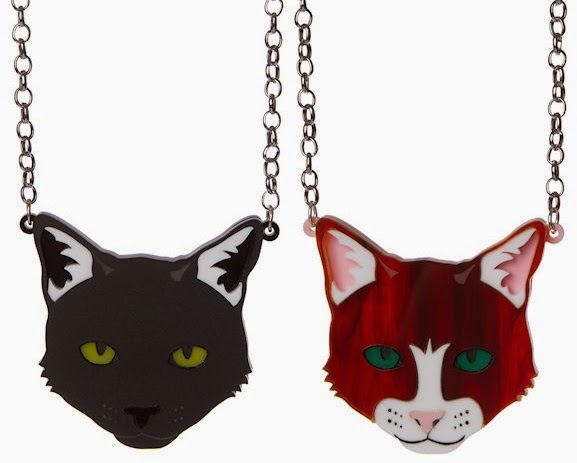 The moggie necklaces are cute too, the one on the left looks like my Lenny! Hello my fellow Welsh Blogger! its so nice to discover local bloggers in the SW region, I'm from Swansea, hope to meet up with you one day! Lovely blog keep up the good work! 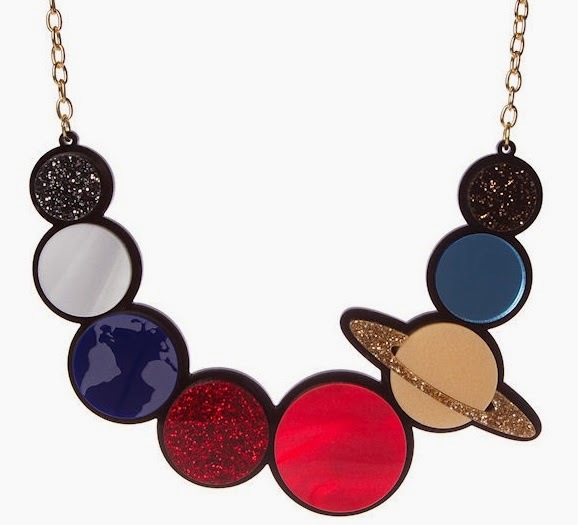 That solar system necklace is the coolest! Asda George Take on Homeware! Gingham Shift with Rare London - outfit post. Sparkly Clean House with Mopp! Mandala Print - outfit post. Le Bistrot Pierre Cardiff Review + GIVEAWAY! Haagenbath - LUSH Ballistic Review. Outfit Challenge: Making Money Go Further. Mothers Day Flowers + Debenhams Flowers Discount.